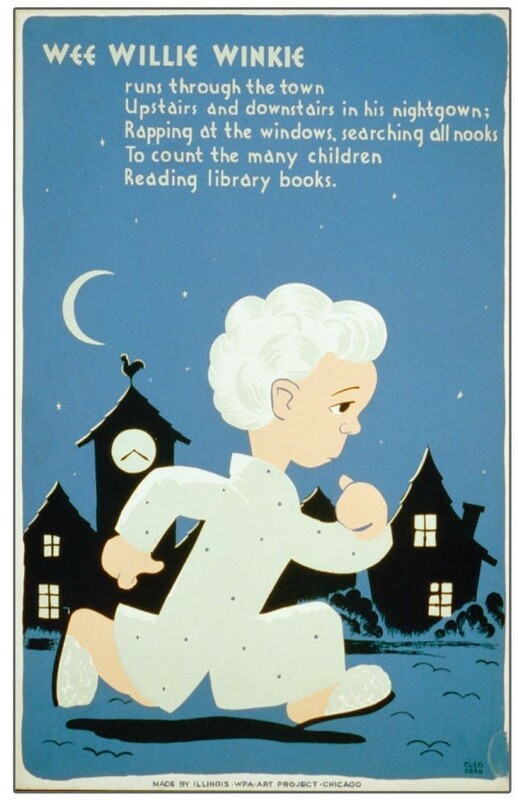 This historic reading poster is a reproduction of a vintage WPA poster. 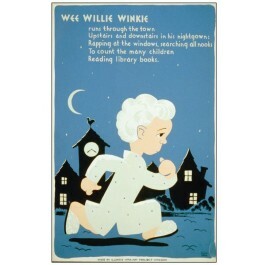 It features beautiful art and a fanciful rhyming message: Wee Willie Winkle/ runs through the town Upstairs and downstairs, in his nightgown, Rapping at the windows, searching all nooks, To count the many children/Reading library books. rapping at the windows, searching all nooks To count the many children Reading library books.